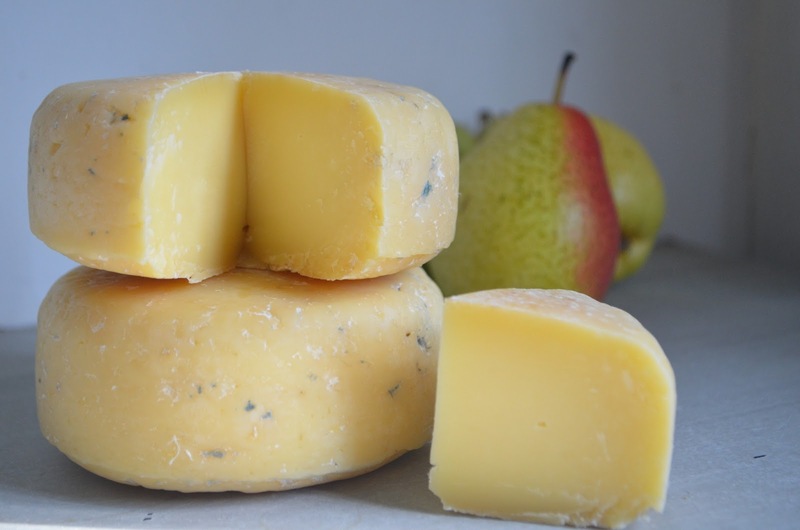 Last month, I posted Cheese Battle: England vs France where I highlighted a few of my favourite English cheeses. Today’s post features Chef’s own English curds, all made at home and at the Hotel. Some three years ago, Chef started cheese making at home. Initially, I did not give too much notice as he is always mixing and concocting something new in our kitchen. But as he grew fonder of the pungent perfumes and moulds, I was recruited to taste and critique. He continues to study cheese making and to practice perfecting his skill. Both are paying off as his cheese receives great acclaim by friends, guests and cheese suppliers. 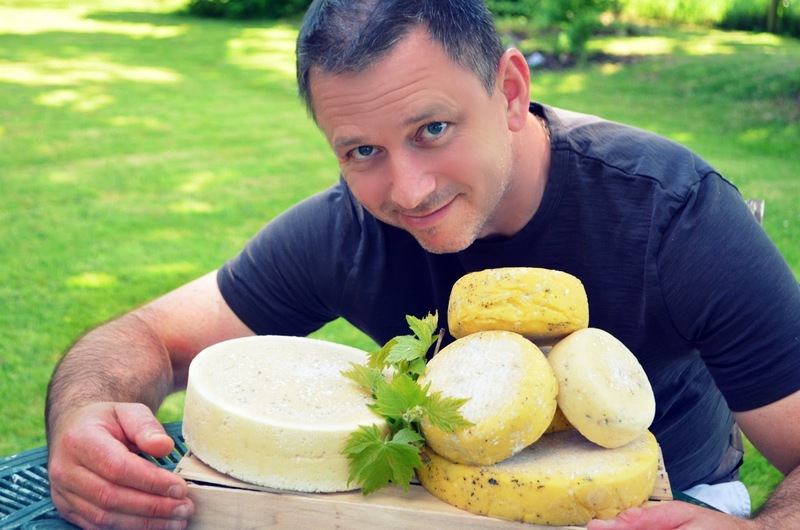 You can read more about Chef’s love of cheese making on Taste, Four Seasons with today’s featured post: Hampshire’s Chef on the Simple Art of Homemade Cheese. This is Callie & Chef’s second publication with the savvy food blog. It’s fair to say– I am cheesy pleasey! 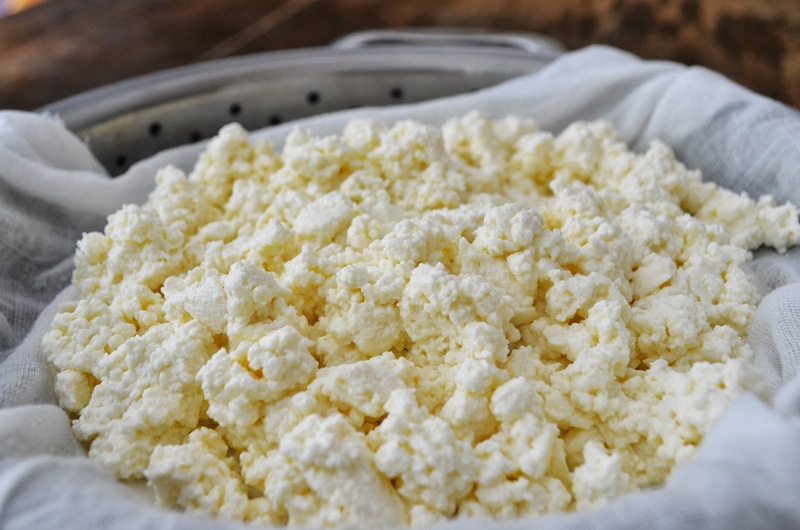 Chef’s recipe for Simple Homemade Cheese is also featured as Taste’s Recipe of the Week. It is a delightful introduction cheese recipe which you can chop and change the seasoning to your preference. 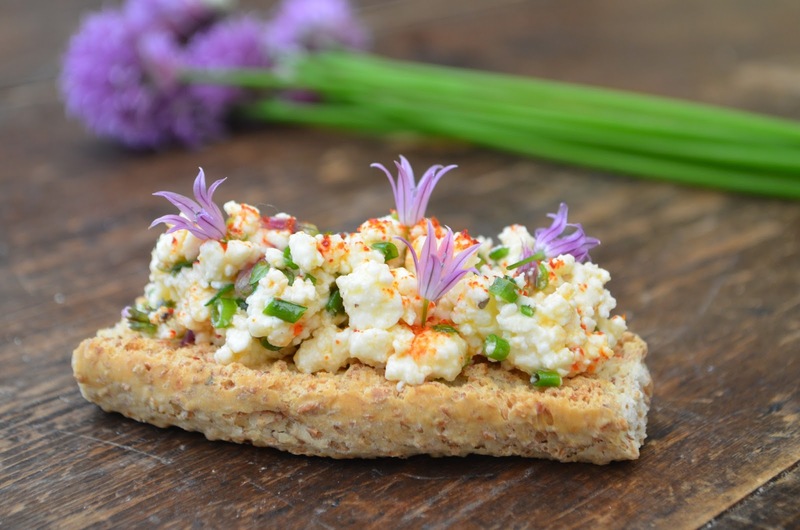 Serve it as a cold hors d’oeuvre on toasted country bread or garnish over a seasonal salad. I have included the contributed recipe below. * Purchase from cheese making supply companies online. 1. Heat the milk to 86º F (30º C) and keep it at this temperature for 30 minutes. 2. Add your starter and stir it in well. Leave it for 45 minutes for the acidity to build up and the bacteria in the starter to improve. 3. Boil then cool some water and add 3 drops of rennet to a tablespoon of the water. (Note: Rennet is destroyed at 104ºF (40ºC), and you should never let it get anywhere near this temperature.) Stir this in to the milk, and leave it to set for around 30 to 90 minutes (set time varies; see below). 4. Test after 30 minutes to see if cheese has set by inserting tip of index finger into curd at 45º angle. Lift finger up, and if it comes out clean, the cheese has set. 5. Carefully strain the liquids. Ladle the curds into a muslin-lined colander. Draw the corners together to hang for up to 24 hours. You should be left with moist curds. 6. Sprinkle the salt evenly over top, and leave to drain for a few more hours. 7. Place in a sterile bowl and check the seasoning. Enjoy your first batch “neat” or season to preference using olive oil, chopped chives and their flowers, salt, pepper and piment d’espelette. Serve as a cold hors d’oeuvre on toasted country bread. This cheese will last for around five days if kept in the refrigerator. About Taste: Taste launched in 2013 as Four Seasons Hotels and Resorts first food blog. It is a relevant source for amateur gourmets wishing to find culinary tips and mixology trends. Foodies may enjoy going behind the scene, or even at home, with top Chefs from around the globe in now 36 countries. And if you wish to perfect your nose, posts by professional sommeliers offer readers wine tasting notes, trends and secrets of the grape.